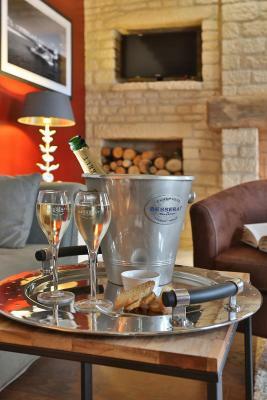 Lock in a great price for Hôtel Meysset – rated 8.6 by recent guests! Good Location, great food, great quality products, nice staff. Just wonderful staff - so friendly and helpful. Good food, very comfortable and brilliant setting. Would love to go back. Lovely location. The food in the restaurant was first class. Serenity. The hotel is on a ridge covered with trees and provides good views east and west. We enjoyed breakfasts and a dinner on the terrace to the east (except on drizzly morning) and views both ways from the pool, which also refreshed us after the hot days and where we sat at dusk. The bed and breakfasts were very good. 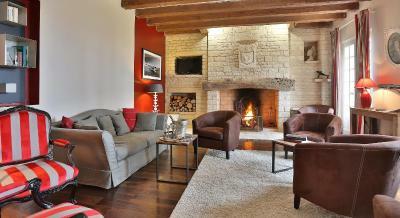 The hotel is only a few minutes drive from old Sarlat. The staff was courteous and friendly. A lovely stay in a quiet, beautifully located hotel. The food was also very good. The decor was a nice fusion of contemporary in an old building. It worked well. The staff were friendly, helpful and efficient I would love to visit again. Stunning setting, lovely building with high standard of finish in the rooms. Breakfast was a good buffet. Will definitely return. Our room was clean and very comfy. Breakfast was good but would like percolated coffee. Most friendly staff. Excellent food. Fabulous view from terrace. Room very comfortable and great shower. One of the nicest hotels I have stayed in in France. It is out of town so you need a car. Great looking pool for families though we didn’t use it ourselves. Very nice room, good restaurant, friendly and helpful receptionist throughout our stay. 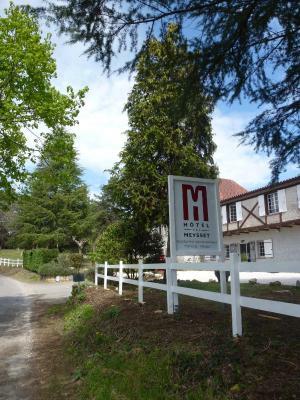 One of our top picks in Sarlat-la-Canéda.Located in a 1.3-hectare park, Meysset Hotel is 1.2 mi from Sarlat-la-Canéda city center and features a garden, an outdoor swimming pool and a terrace. Free Wi-Fi access is available in the entire property. The rooms offer a wardrobe and a flat-screen TV with cable channels. 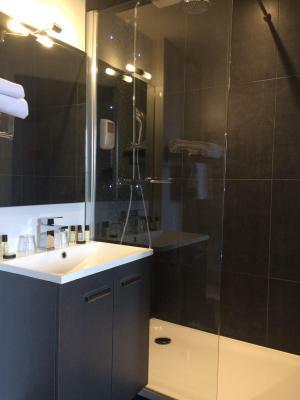 Each room has an private bathroom with bath or shower and free toiletries. 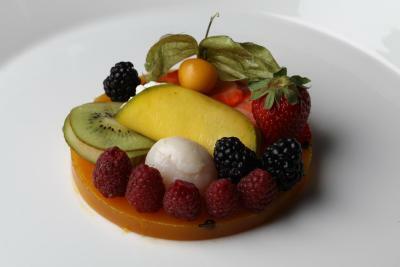 Upon reservation, the hotel restaurant serves regional specialties every evening. A cold buffet breakfast is available. 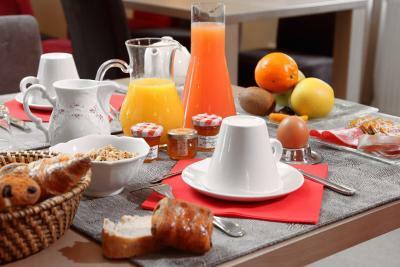 Meysset Hotel is 3.1 mi from Sarlat Train Station. Cathédrale Saint-Sacerdos is 1.9 mi from the property and Château de La Boétie is 3.1 mi away. 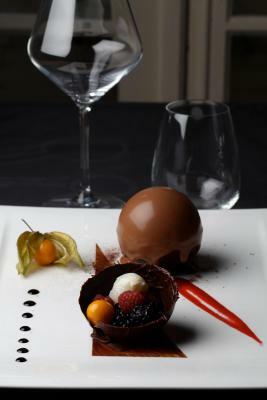 When would you like to stay at Hôtel Meysset? These rooms have free Wi-Fi access, flat-screen TV and a hairdryer in the private bathroom. Please note that bed setting options are subject to availability. There is also a small private garden. All rooms have free Wi-Fi access, flat-screen TV and a hairdryer in the private bathroom. Extras in the suite include a separate lounge area with a sofa bed. 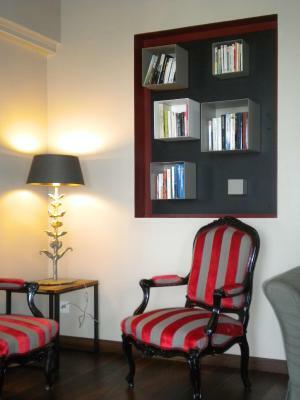 House Rules Hôtel Meysset takes special requests – add in the next step! Hôtel Meysset accepts these cards and reserves the right to temporarily hold an amount prior to arrival. Please choose your bed setting when booking. Please note that bed setting options and extra bed are subject to availability when booking. The Wifi was terrible. The owner was not amicable. The views of the hotel. The room was really nice. Had incredibly noisy air conditioning system which disrupted sleep. Asked staff for fan or to be moved to another room but not possible. Comfortable 3 star property with pool. Like most hotels I've used, there could have been more towel racks and clothes hooks. Rooms 1-4 are recently renovated but there is no ventilation and the bathroom steams up (minor problem I guess) The walk back up the hill from the town is very steep. Evening meal ok but nothing special for the price. No A C but fan worked well and window opened. Very comfy bed. Very quiet room. Nice walk to historic area.